This project has taken me long enough, so I’m even more excited to share the results of my months of crocheting and procrastination! I call it my Zoodiacs, a collection of graphs depicting the animals in the Chinese zodiac. 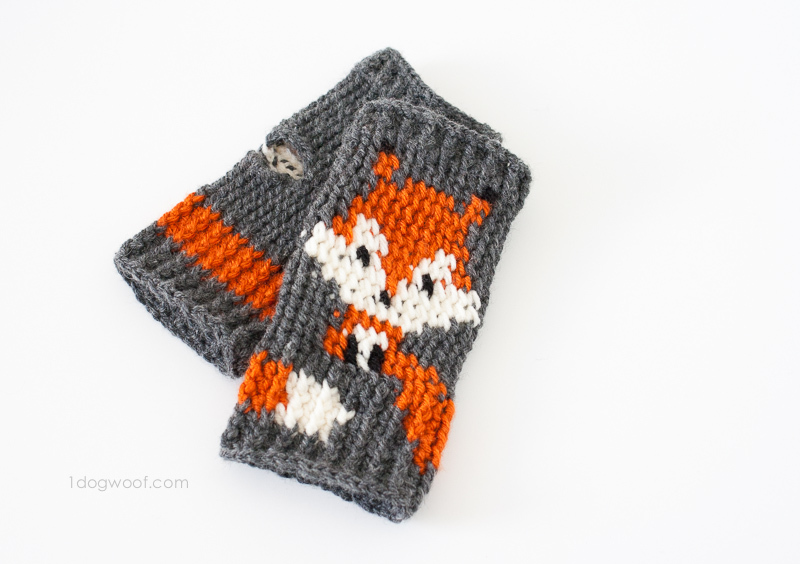 With these graphs, you can create a graphghan or a C2C crochet blanket of all 12 zodiac animals, or make individual pillows, coasters and other fun things, even something like my fox hand-warmer. They’re all similarly big-headed, small-bodied cuties represented by a graph. 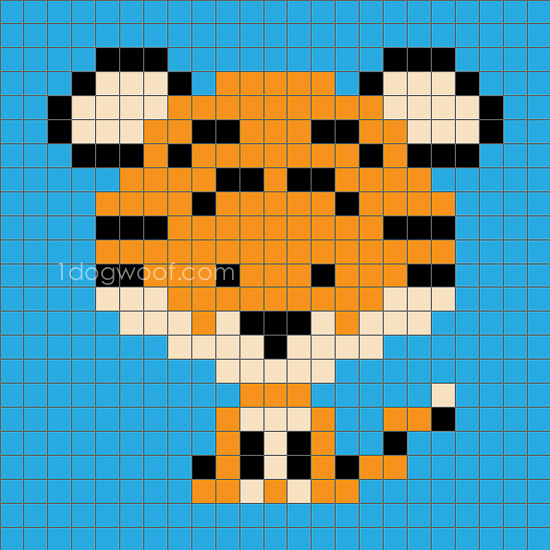 First up is the Zoodiacs Tiger! 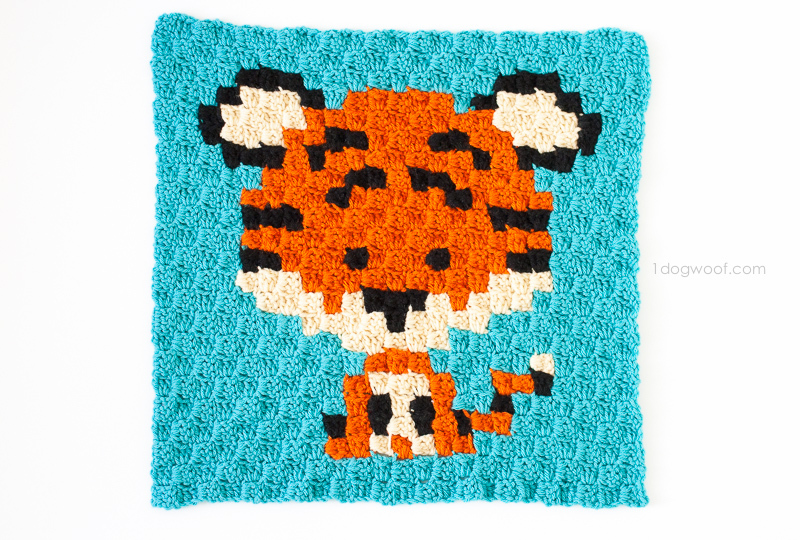 I was inspired by a strange combination of Sarah’s Christmas C2C blanket, Tamara’s Zodiac Appliques and Stephanie’s Chinese New Year Monkey to come up with something fun and new for my kids. We’re kinda big on Chinese zodiac stuff at my house (we’ve got a few dragons, tigers, sheep, a snake, and a mouse), with everyone knowing what animal they are and joking about the characteristics of each one. And the more I got to designing my animals, the more I loved it. So, here’s the first square of my Zoodiacs collection! 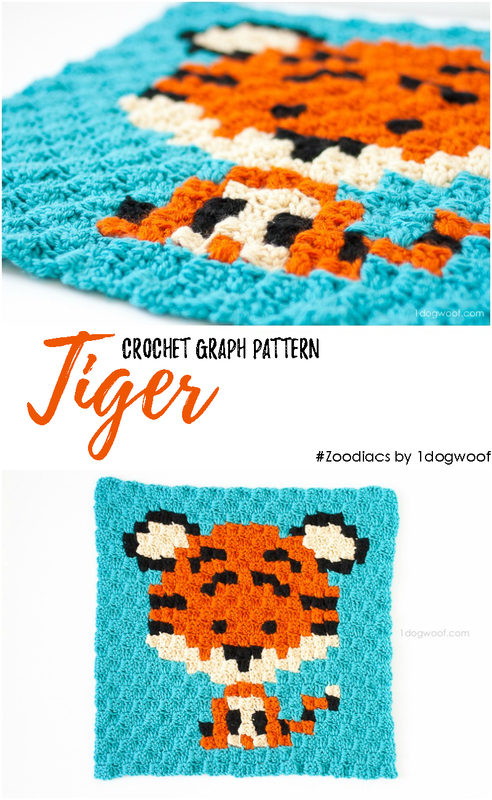 Stick around for each animal graph to be released and at the end, I’ll share the newest crochet blanket in the house. I’ll be adding each animal graph to the Zoodiacs page, so in case you miss a post, you can always find all of them in one spot. I’d love to see your Zoodiac animals, so share with me on Facebook or tag me (@1dogwoof) on Instagram! This is so cute! I’m thinking I may make an afghan for my newest granddaughter with all of these! Is there any way to get a PDF of the patterns and graphs? Jana, they will all be available together once all the graphs have been published, with larger printable graphs. I hope that helps! Hello. I’m loving your work. Are the patterns available for purchase? Thank you Lynne! I’m glad you like them! 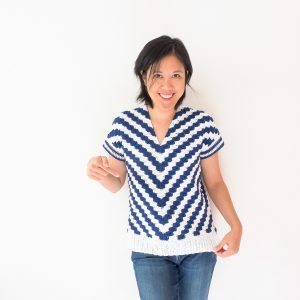 if I want to do it in single crochet, is it one stitch per square? I’ve not done C2C beføre. Nor have I done a graphghan either. How big are these squares? 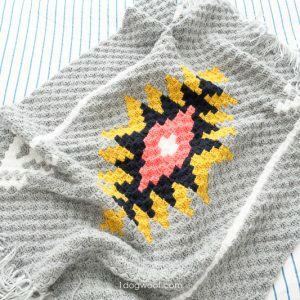 How could I make one square an c2c blanket of its own? I’m thinking a baby blanket. Each of my squares came out to 18 inches each, which may be a bit small for a baby blanket. 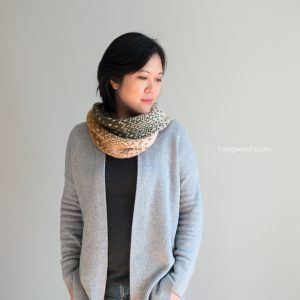 But you could use thicker yarn, like Bernat Baby Blanket, and then one square should be big enough for a baby, especially with a border around it. Hope that helps! Yes, it is gigantic! The finished blanket covers a twin sized bed with room to spare. 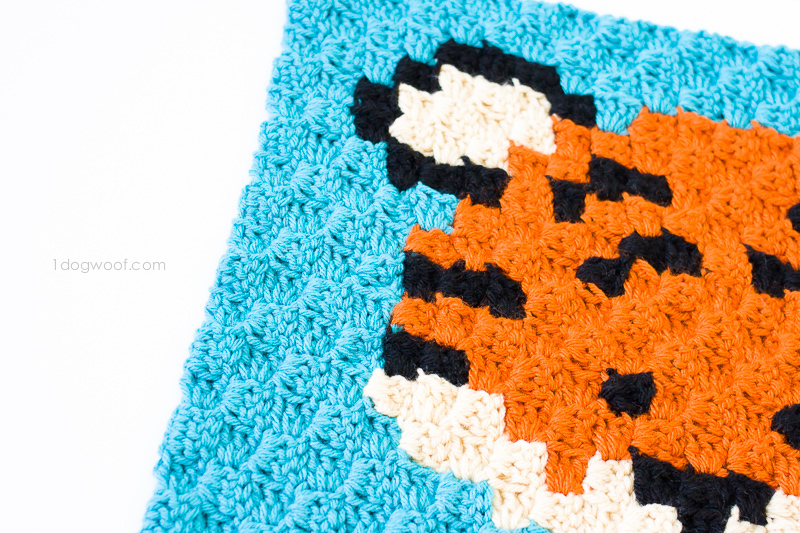 Love the adorable animal blanket. So much fun to make. Looking forward to the zebra and any new additions to it.